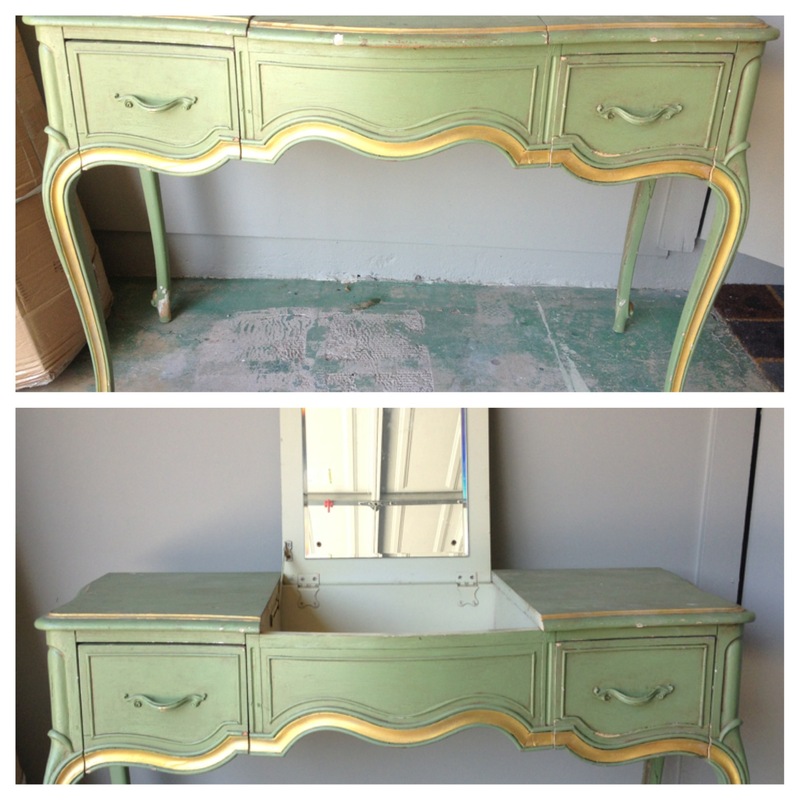 I found this darling vintage drexel heritage vanity at a garage sale for $10. I know…I know…I couldn’t believe it either. 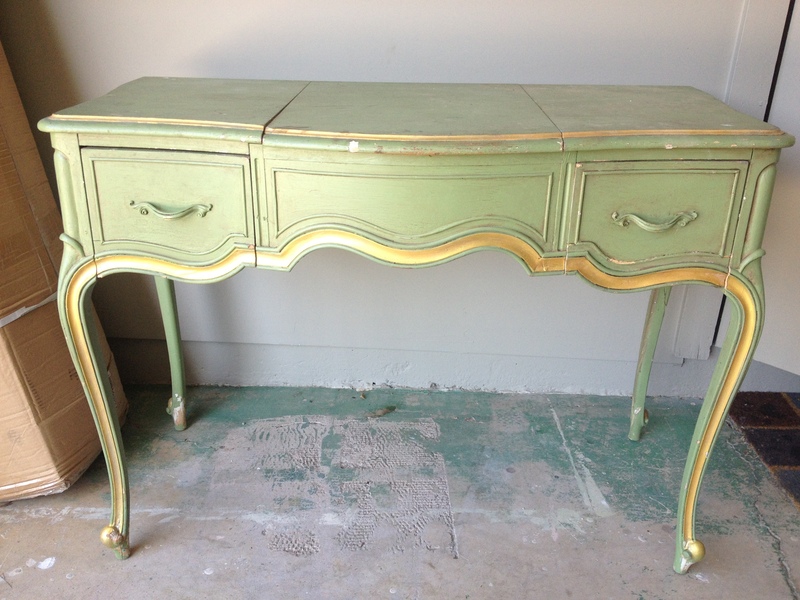 I loved everything about it, the colors, the dainty legs, and the hidden mirror. 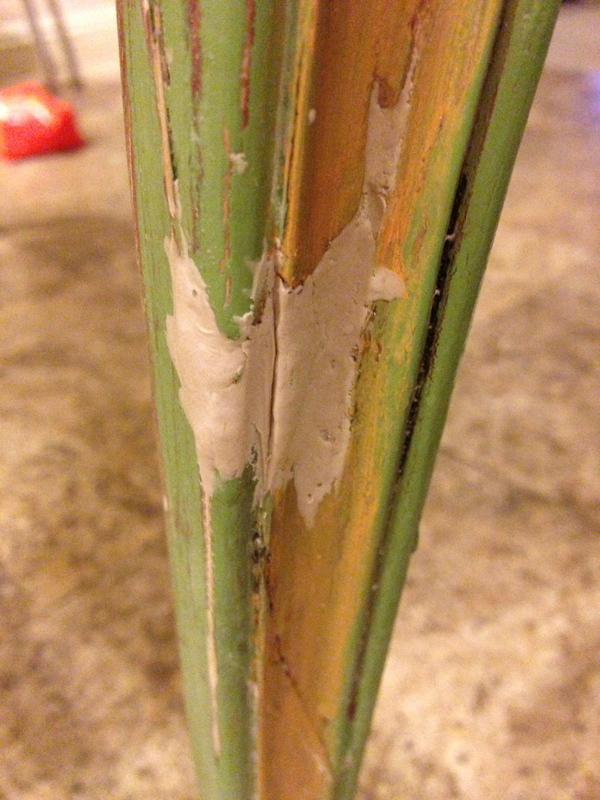 But it looked like it was stored outside and wasn’t well cared for, the paint with chipping off everywhere, and the colors didn’t really work in my house. 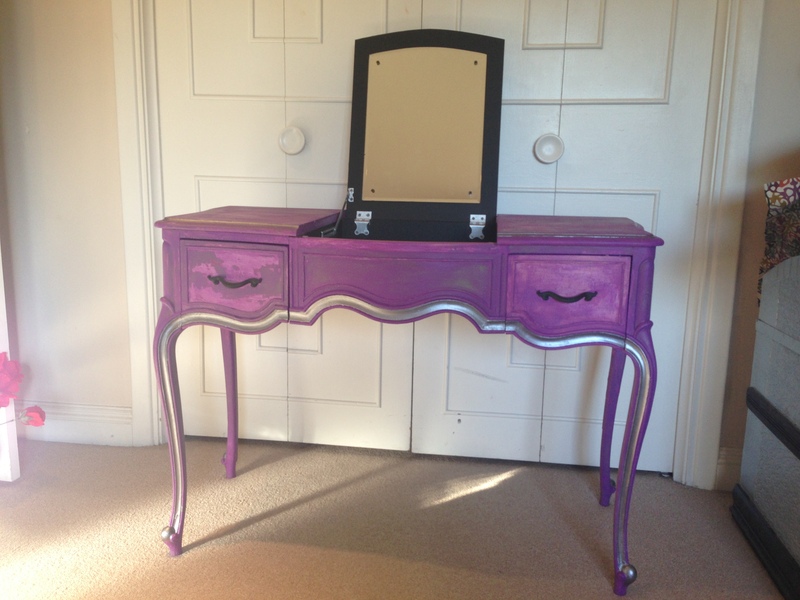 Here is the finished project, I didn’t intend for it to end up like this but I’m pretty happy with the end product. One of my favorite magazines is Flea Market Finds. 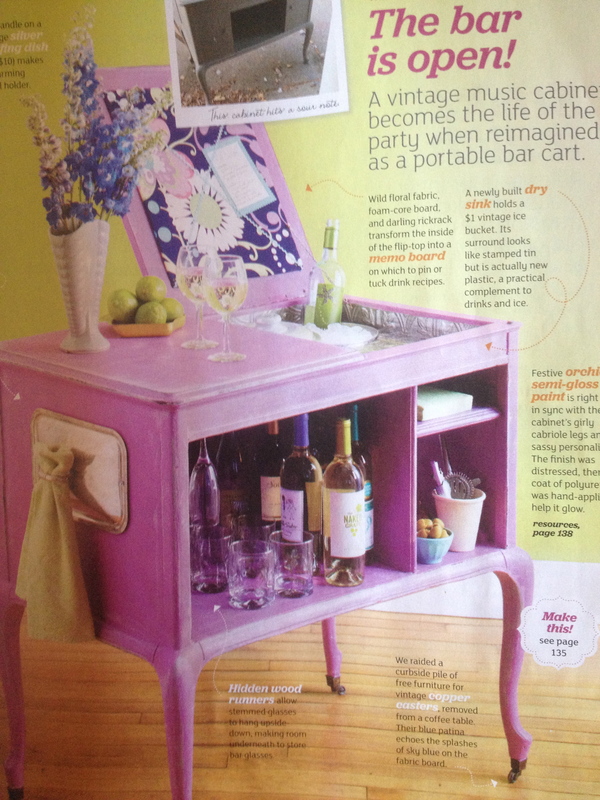 They had a great DIY where the transformed this old music cabinet into a bar cart…pure genius! 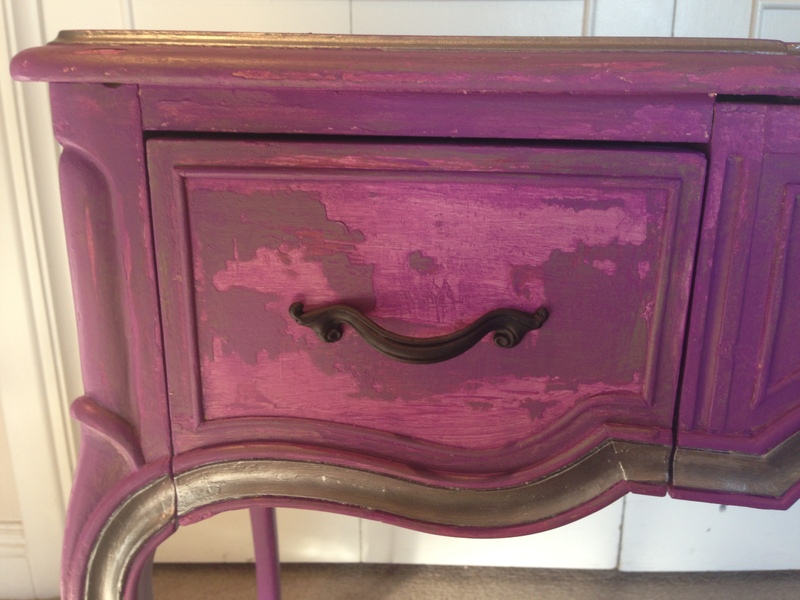 Here are the steps I took to take this Vintage Bar Cart from shabby chic to rock and roll! 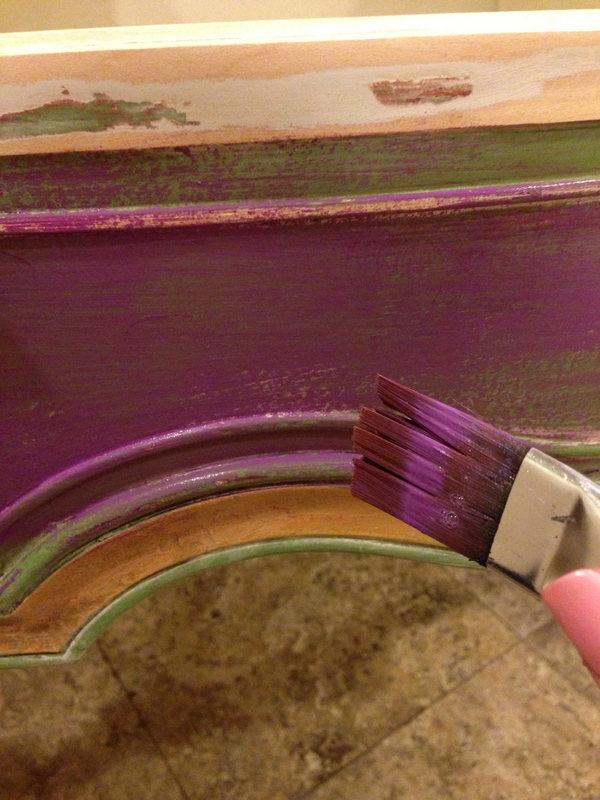 First I took my sander to the piece, the more I sanded the more interesting the colors it revealed. I made sure to wear gloves and a mask since this piece was from the 60’s and the paint could contain lead which is highly toxic. 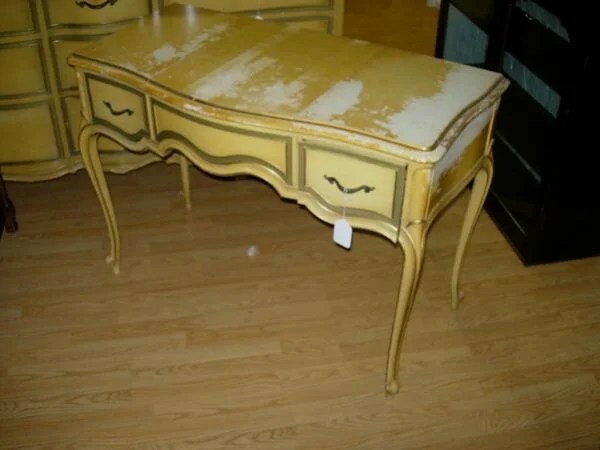 A part of me wanted to spend eternity removing the layers of paint off to revealy a gorgeous natural wood vanity but this isn’t my day job and I gave up. Now on this particular piece, I tried to use Citristrip. I got this advice from another blog and it didn’t work well on this project. 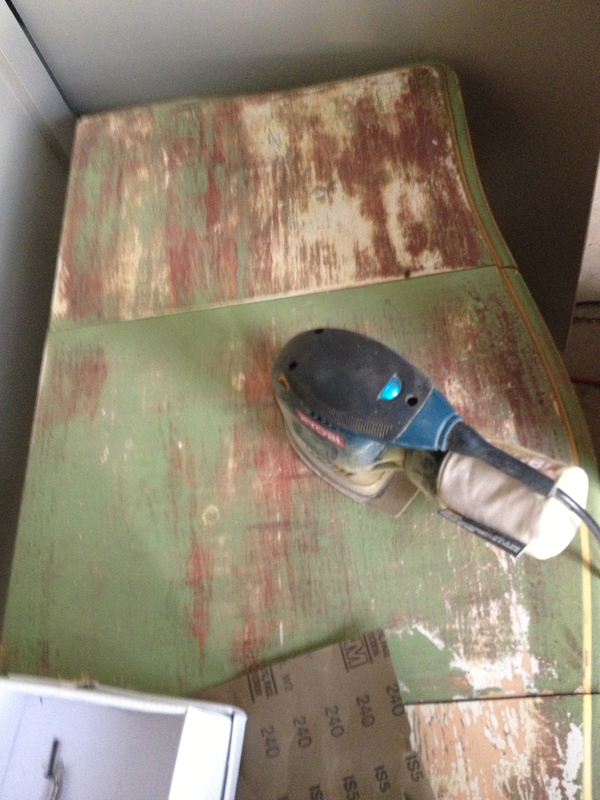 I might use it for something with square edges where the stripper couldn’t get caught up in the cracks and crevices. 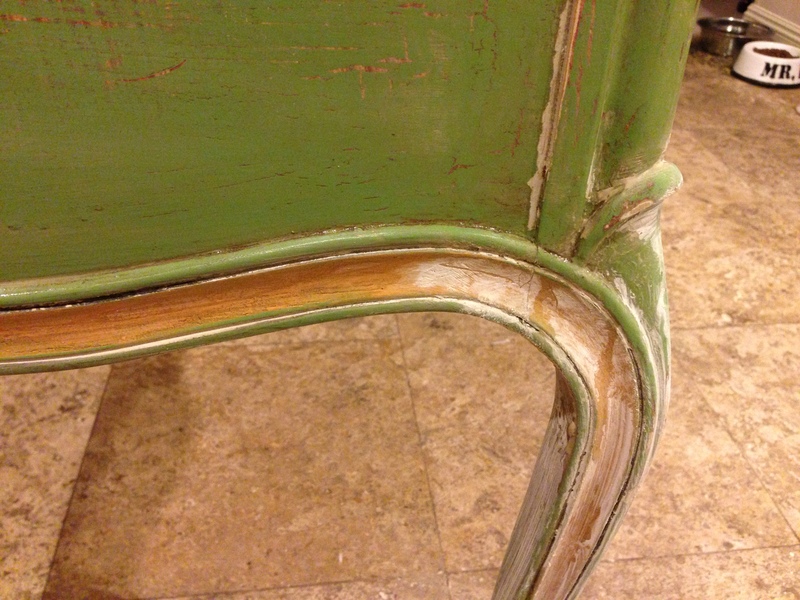 As you can see here, it left a white creamy film over the piece. 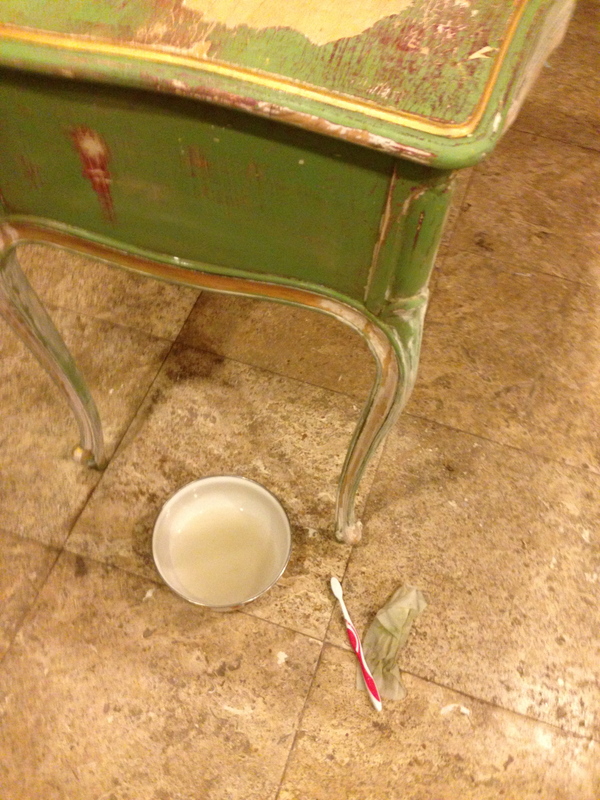 I took a bowl of water, rag and toothbrush to clean the piece of all the left over residue. 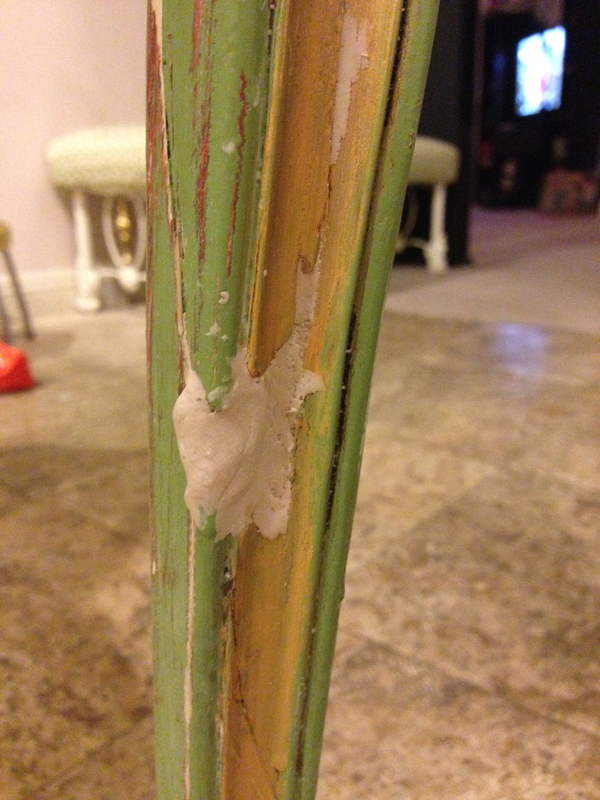 There were some large cracks and broken pieces of the wood trim in several areas of the piece. 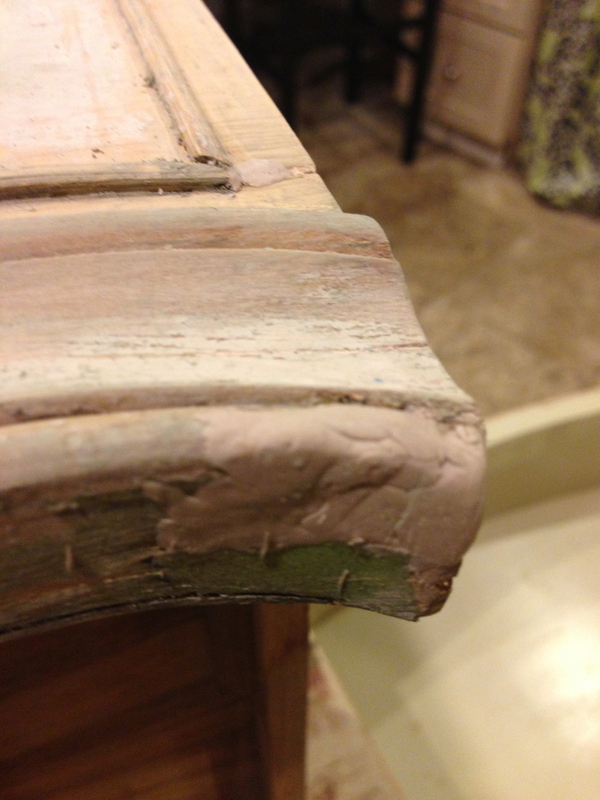 I took this kwikwood wood filler and filled in and molded the missing areas. 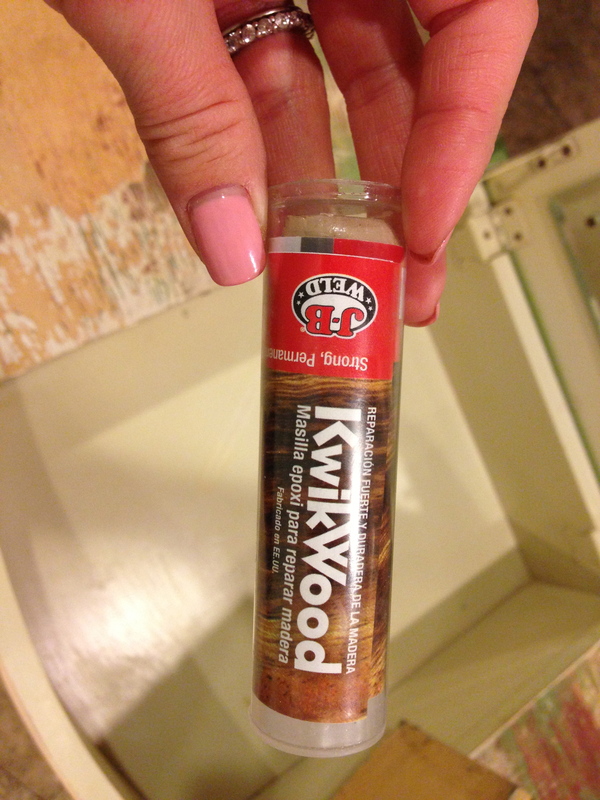 Kwik wood smells oddly like tuna fish but it forms a hard wood-like substance that it great for any damage to the project. 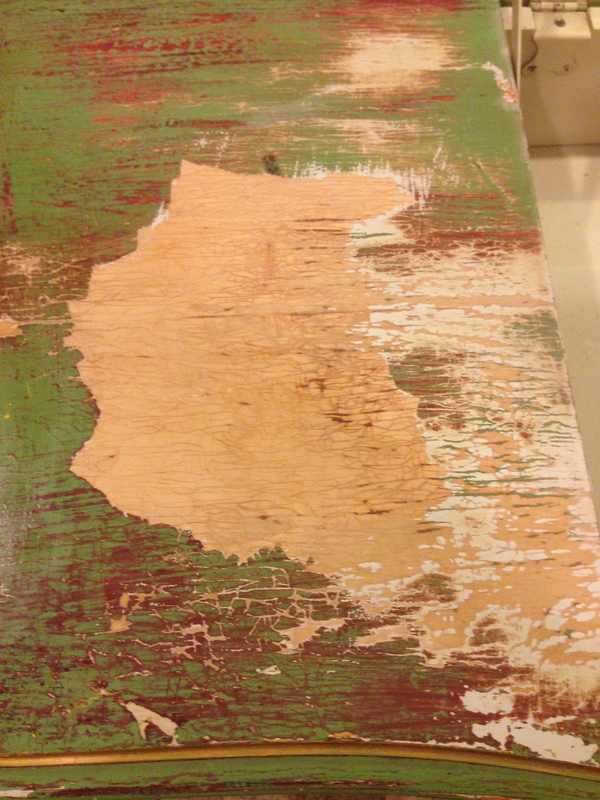 After the kwikwood dries, use some sandpaper to smooth it down and blend it with existing wood. 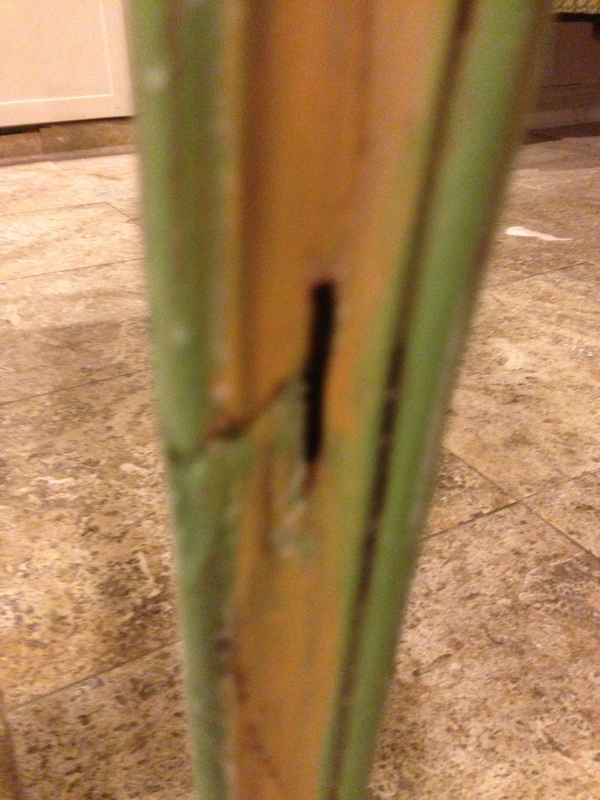 Crack before the wood filler….looked like the whole leg snapped in half at some point in history and was previously repaired. After filling with kwik wood. 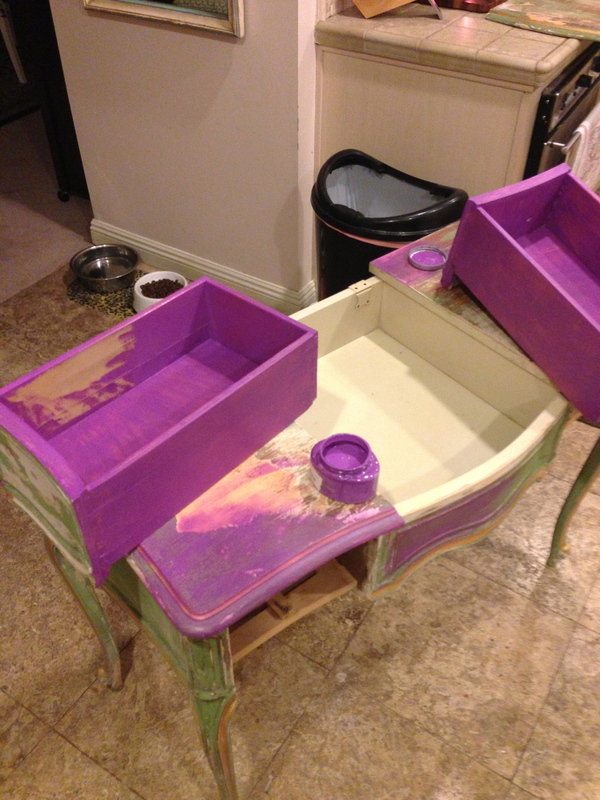 Now, initially I intended to paint this piece white with a black interior, but I had a paint sample of valspar sonic plum satin paint. 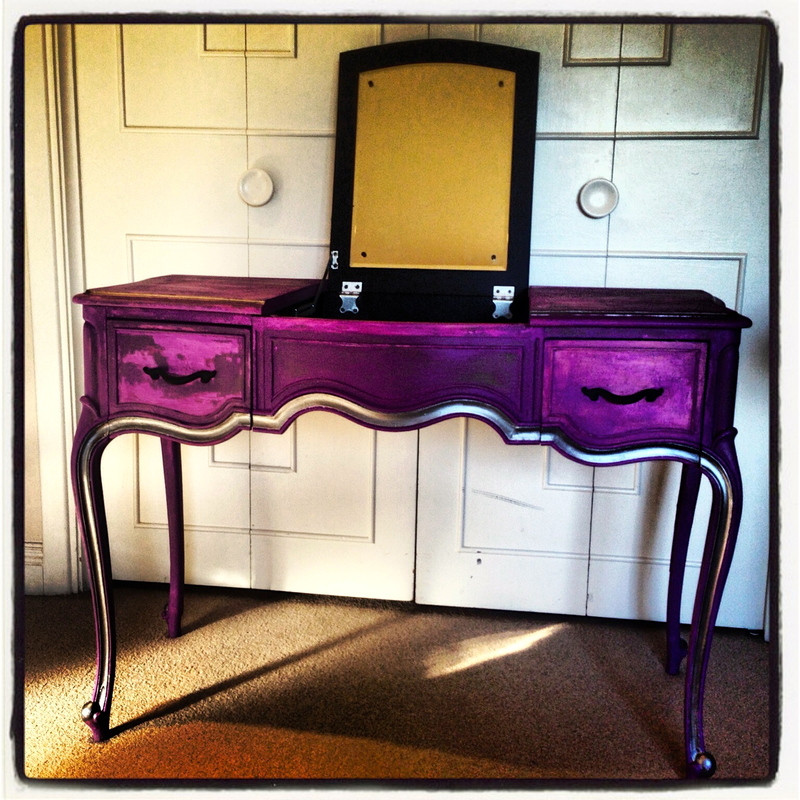 I tested a thin layer of sonic plum over the green chipped paint and fell in love with the affect it made!! I couldn’t stop and kept going without testing out any other color. 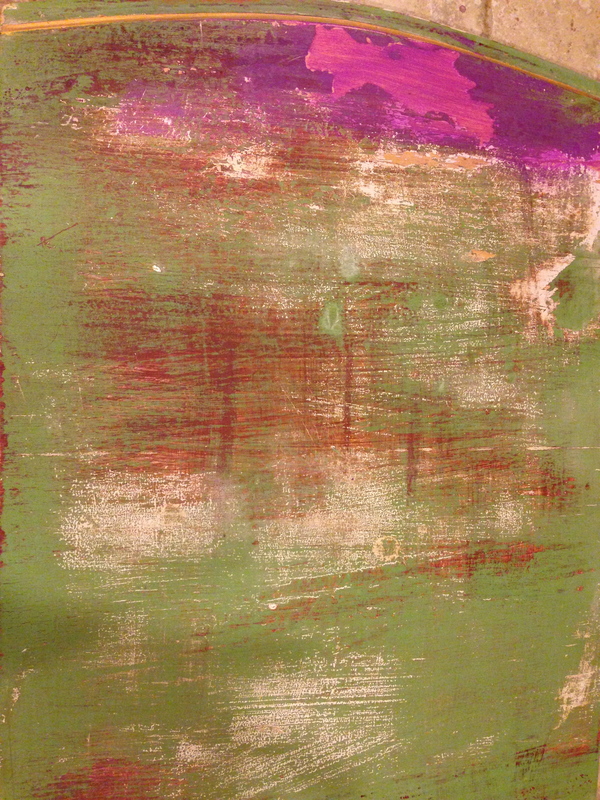 I used a small amount of paint on the brush and spread the paint on each part of the piece until it seemed all the paint came off the brush, repeat. 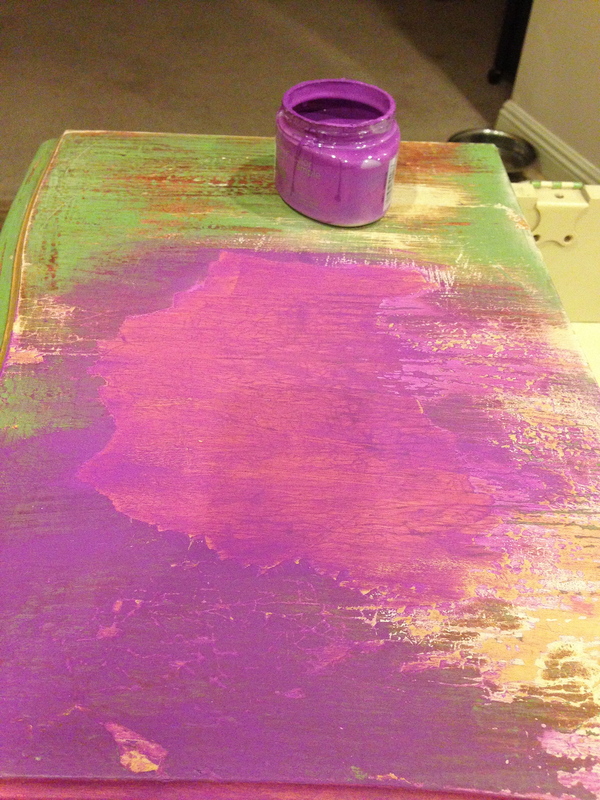 I should note that the small paint sample I used covered the entire piece and I still have half the small jar left over to use when I find a bench. 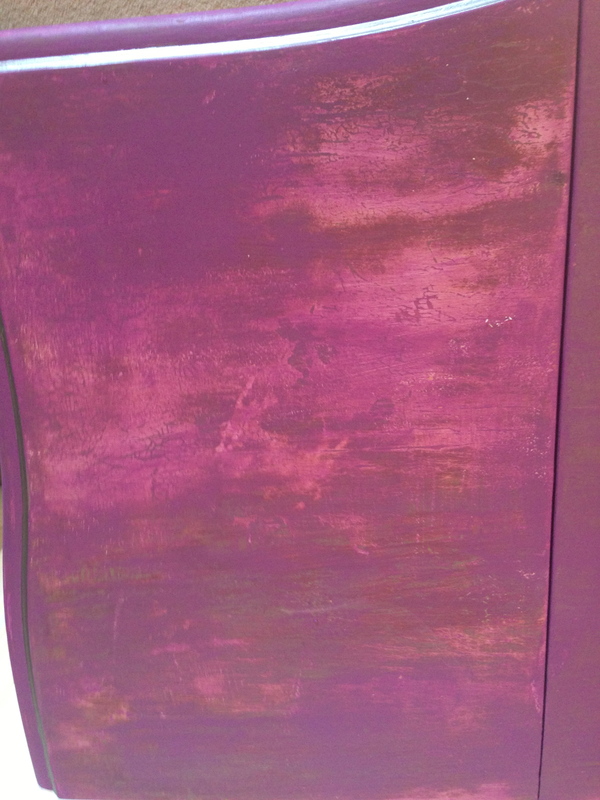 After I covered the piece with sonic plum, I used Martha Stewart specialty finish metallic paint in thundercloud as an accent. 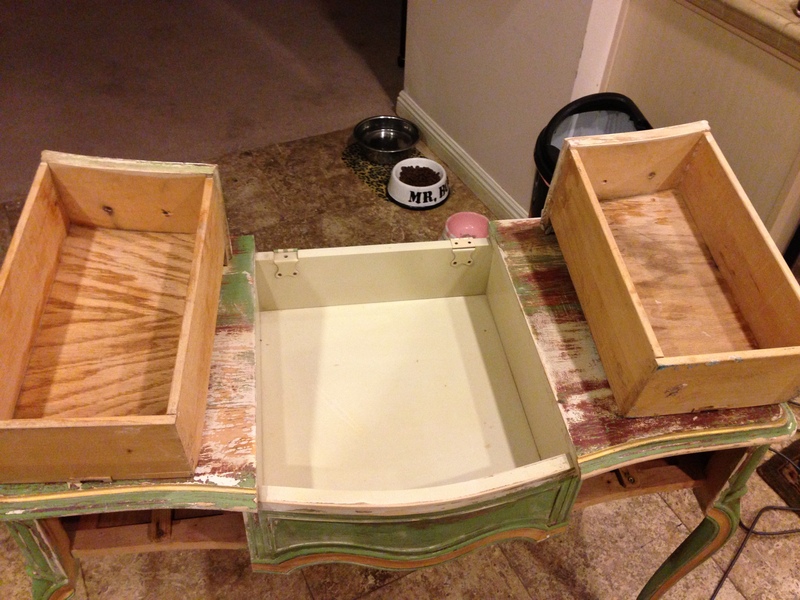 I painted the inside of the vanity, the sides of the drawers, and the handles with rustoleum black chalkboard paint. 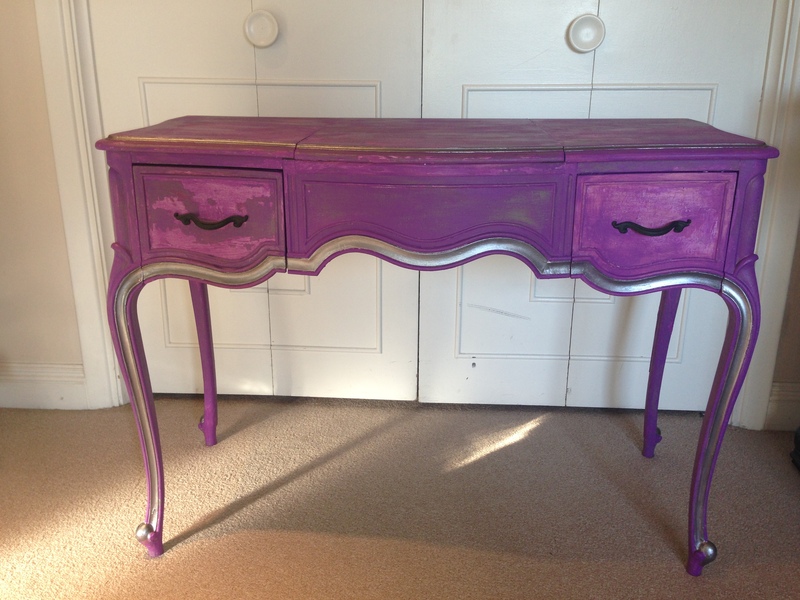 Then I painted a clear varnish over the piece as a top coat. Thanks for reading and happy pinning!